Many college students have no idea what career path they want to pursue when starting college; however, by the end of my second summer as a college helper for Coors, I had decided that the beer business was my future. I was determined to own a distributorship by the time I turned 30. By my late 20s, I was the EVP and GM of Coors of Kansas and, I had an agreement with the owner, R. D. Hubbard, President of AFG (Safelite Auto Glass) for 25% ownership. Unfortunately for me, Kansas had a 10 year residence statute which had to be verified by 10 consecutive years of state tax returns. As a Texas native, I could not fulfill the verification process. Coors Brewery was aware of my interest and presented several operations for me including three in Missouri, a new market struggling with establishing Coors. AB’s backyard was difficult at best. Instead, I decided that it was time to find a beer wholesaler to buy, so I retained a broker who only represented beer houses. 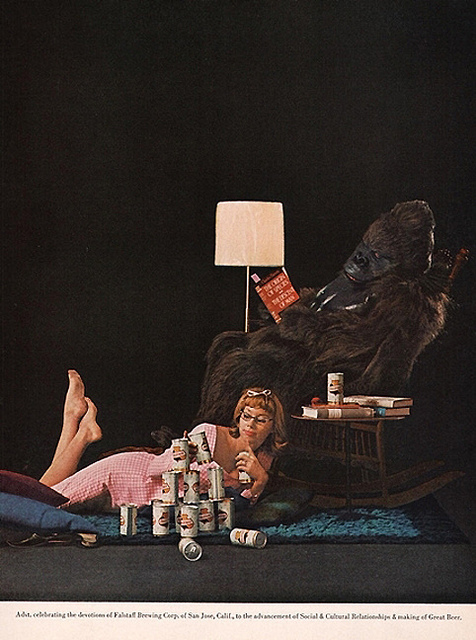 The firm presented me with a number of distributorships across the country, but when the Schlitz operation in S. Texas became available, I knew this was the right one. At 31, I closed on the operation. While owning Texas Beers, I bought three additional beer operations in my territory and pursued other operations throughout the state. While at Coast Distributors in Oregon, I purchased three additional operations and looked at others that had come to market. In the early 90s, I again looked at the possibilities of purchasing another operation. One in Arizona caught my eye, but I was late in getting to the table. Some of the distributors I considered buying were AB houses. At that time, most houses were single brand. Some had a couple of imports, maybe a regional or two, but that was the extent of the diversification. Many of these single brand houses decided to sell. The Schlitz houses sold because they were at, or near the top of the market, and owners had lost confidence in brewery management. Many distributors who carried only regional brands lacked the marketing and subsequently had little growth, and they, too sold. I remember some operations were advertised for sale in the WSJ. There were even times when sales were so common there was one a month. So what happened? Consolidation at the brewery level forced consolidation at the wholesale level which, in turn, provided the wholesaler with portfolios that were diverse enough that if one brand started to decline, the wholesaler had enough brands to more than make up the loss. Imports, headed by the Mexicans and Heineken, ramped up spending and caught fire; RTDs showed up; and of course, the crafts’ dramatic growth has given wholesalers the ability to survive in case one supplier heads south. This means very few, if any, operations come up for sale on the open market. The days of an individual buying a stand-alone operation are gone. Now, family and tax issues are the primary reasons beer operations sell and then, usually under the direction of the major supplier, (e.g. MC or ABI). Once a distributor informs their supplier of their intent to sell, it then becomes…show me the money! By the time the 21st amendment was ratified in 1933, the country was in the Great Depression. Unemployment numbers were not sugar-coated in those days as they are now, and the jobless rate was reported as high as 25%. One in four adults was out of work. Once the depression had reached its depth, the brewers got smart. By rescinding the 18th amendment, the brewers had explained to Congress and the President that, not only could the government realize the benefit of the tax revenue stream, but more than 10,000 direct jobs would be created along with thousands of in-direct jobs. Tied houses could be eliminated by using a three-tiered system. Congress was convinced. The great experiment had failed, the 21st amendment became law and the rest is history. 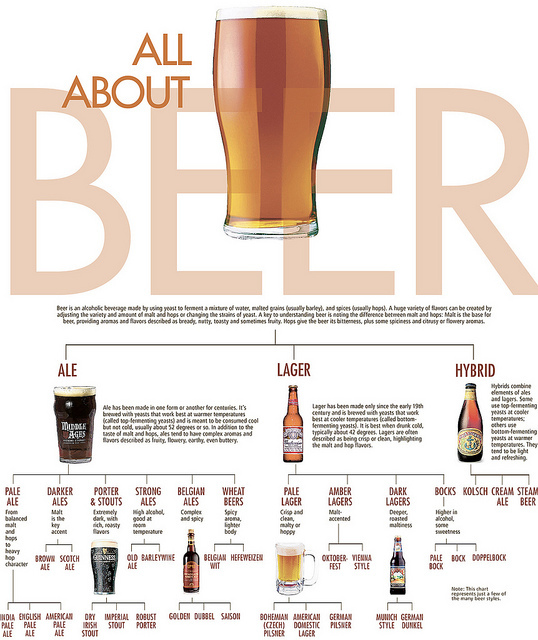 Last week the WSJ chronicled the craft brewers’ efforts to change the beer laws in Michigan. The brewers want to raise the definition of a microbrewery to 60,000 bbls, from 30,000 bbls. A second bill would raise to two the number of on-premise retail sites that a brewery can directly sell beer for consumption. The current limitations on local craft brewers have halted millions of dollars in investment for the state. One brewery pulled the plug on a million-dollar plus renovation that would have created 20 new jobs. Another brewery stated they scaled back their growth by putting on hold a $2 million dollar expansion and over 100 new jobs. The article goes on to highlight statements by State Sen. Howard Walker, who has introduced an omnibus-style bill in the senate which would cut out a wide range of “laws that were designed in the ’30s.” The bill, however, has been bottled up in committee for a year and half, blamed on the lobbying by the Michigan Beer and Wine Wholesalers. Through extensive lobbying, wholesalers, in conjunction with retailers, have gotten state laws passed which were favorable to their individual and collective interests. At the time, opposition to these changes was minimal. The changes, however, were certainly not limited to laws which included cash upon delivery, franchise protection, no dock sales, territorial protection, three tier restrictions, no dueling of brands and many more. The wholesalers have been very successful and continue to be. The rise and dramatic growth of the crafts are forcing the states to revisit these laws as the number one concern for the crafts are simple: crafts need access to the marketplace. As previously mentioned, carve out laws help to resolve crafts’ and imports’ issues with wholesalers’ lack of focus on their brands. So the real question is, are these strategies the most effective ones for crafts? Michigan, with bankrupted Detroit, appears as if it could play out as a template for all craft brewers by using the prohibition era-position strategies that AB, Pabst, Schlitz, Falstaff, Miller and others used to get the 18th amendment appealed. Attacking the laws written and modified over the years by the wholesalers directly is, at best, a long-term process. States need money and jobs, crafts can now provide that with their dramatic growth. 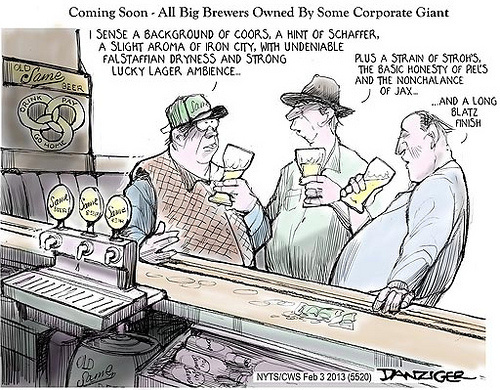 For craft brewers, it’s the economy stupid! It was in the mid 1960s that Coors decided to expand into North Texas which made Coors available in 10 states and a portion of Texas. Ten years later, they expanded into the remainder of Texas. At the time, Coors was so popular that people would drive miles out of their way to pick up cases of the beer if it was not available in their home markets. During those years I was running the Coors operations in San Antonio and Wichita and it seemed like not a week went by that I was not contacted by someone, including other beer distributors back east, wanting to buy a trailer-load of Coors. Most offers to purchase the product were at PTR paid by cash or cashier’s check. Obviously this was strictly prohibited by the brewery because each case of beer was marked with a code the brewery could trace it if they found amounts in non-Coors markets. If the distributor was caught doing this, the penalty was possible termination. There were a myriad of examples of illegal distribution of beer. There was the Schlitz distributor in Pennsylvania who filled empty Schlitz kegs with Old Milwaukee and resold them as Schlitz. He was terminated. A Coors distributor was terminated on the border after his Coors was found in Mexico along with Coors neon’s. Another Coors distributor in Kansas City sold beer in the eastern US. He, too, was terminated, and then sued Coors and won restitution; however, he was eventually forced out. There was a long time Schlitz Division Manager, when Schlitz was still strong, who forced his District Mangers to falsify their expense reports so he could pad his expense reports. The manager would then buy US Treasury bonds with the proceeds. A practice he did for years until his retirement from the brewery. Another Schlitz executive had a gambling problem and would shake-down his staff for financial help to support his habit. I can go on with other examples but these are just the ones I know of. Think about the ones that never got out. Just recently an AB distributor mentioned that he suspects, , based on what he and his team saw and learned while visiting a local micro-brewery, that this brewer was selling beer at his location and not reporting or paying federal taxes. I am sure this does not surprise most of us given the number of new breweries and the competition for business and handles. We can expect more of these new companies to try to look past the laws in order to develop their brands. I have previously written that the main attraction of the beer industry has been the integrity of the people involved. Some of this can be attributed to the screening process used by the TTB and the breweries in hiring and distributor appointments. Will this integrity be upheld in the future with the craft brewers? You see, character matters: as leadership descends from character. Right after college I was a Falstaff route salesman in Austin. My route was the east side of town, in fact; I had east 3rd street before it was the place to party. Most of my accounts were bars, usually one to two cases per stop, but I did service Bergstrom Air Force base and a couple of grocery stores. My truck, a 1957 IH one bay, was loaded with 100 returnable long necks and 300 six-pack cans. Remember, this was all DSD. Fridays were rough, as the day ran from seven am to seven pm, and I usually went through two ticket books. When I turned in my resignation, Falstaff hired a recently retired Air Force Sergeant. He rode with me on the route for my last week Immediately I could see that being a beer salesman was not what this gentleman thought it would be. The sergeant did not last one month. In the recent US jobs reports, the fastest growing segment of the employment population is part-time positions (under 30 hours). It’s been touted that Obamacare, along with the recession, are the drivers of this segment, as companies seek to acquire additional staff that do not require full-time benefits. Going forward, how does the beer industry fit into this segment? On several occasions I employed part-time staff while running beer houses. In Kansas, we hired young college students to work as weekend merchandisers and to clean the lines. Most distributors use summer college help is one way or another, but that is usually where it ends. On several occasions while working at Warsteiner, I was asked to accept interns from Germany, knowing full well that they would later be hired by the brewery. The question arises, can, or will the industry be able to create positions that use professionals in a part-time function? This summer I had some discussions with a successful winery that is expanding across the country. In talking with the company’s recently appointed president, a longtime associate, the topic arose as to whether or not I could function as their expansion director on a contract or ad hoc basis. I had similar conversations with another small importer offering the same services. From a supplier view, a number of positions can be outsourced, but the distributor side is a different model. As Corporate Director of Malt Beverages during my years at Glazer’s, I functioned predominately as an internal consultant, a position which could have served as an external consultant on retainer. Many large or even statewide beer wholesalers have used professionals to bring them quality new suppliers filtering out those not considered a good fit and bringing only those with the right product and business model. Again, the purpose is to fill a roll as a consultant and in so doing eliminate wasted time for the wholesaler.